There is growing evidence that Tai Chi has value in treating or preventing many health problems. However, it’s important that students understand the purpose of the various movements. To help students receive the maximum benefits from their daily practice, Jing Shuai, who is a certified Tai Chi instructor, has created her “Introduction to Tai Chi Series“for people who want to receive an overall understanding of the Tai Chi philosophy and to enhance their training regimen. After years of research, Jing Shuai designed these drop in classes for people who want to receive an overall understanding of the Tai Chi philosophy and maintaining wellness Tai Chi essential training elements. Classes are also designed for all level of Tai Chi students to practice the fundamentals in order to develop a healthy regimen. Each class is an independent theme. No experience necessary. 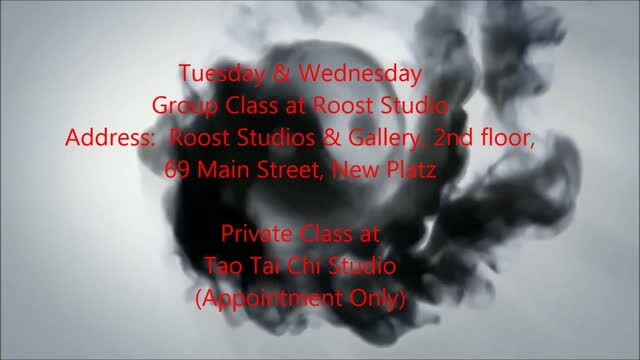 All of these drop in classes will be rotated periodically for students who would like to practice or experience more of the fundamentals of Tai Chi. By understanding the philosophy behind Tai Chi, you will acquire an insight into this ancient moving meditation. This non-impact routine is an any age and ability level beginners 12 hour course for people who would like to enhance their vitality, calm the mind, condition the body, prevent jont problems and create a sense of overall well-being. This course distills the basic trainings of Tai Chi which involves Qi cultivation, movements and meditation.